When it’s time to toast to another year or an exciting life event, finding an ideal location everybody will enjoy can become a chore. The good news is, when you’re craving American food with a sports bar twist, there’s Buffalo Wild Wings®. If you’re looking for a reason to eat the best hot wings around, here are a few celebrations you can host at this popular restaurant. Planning a birthday party at home or an event space can be time-consuming and expensive as you invest in food, drinks, and decorations. 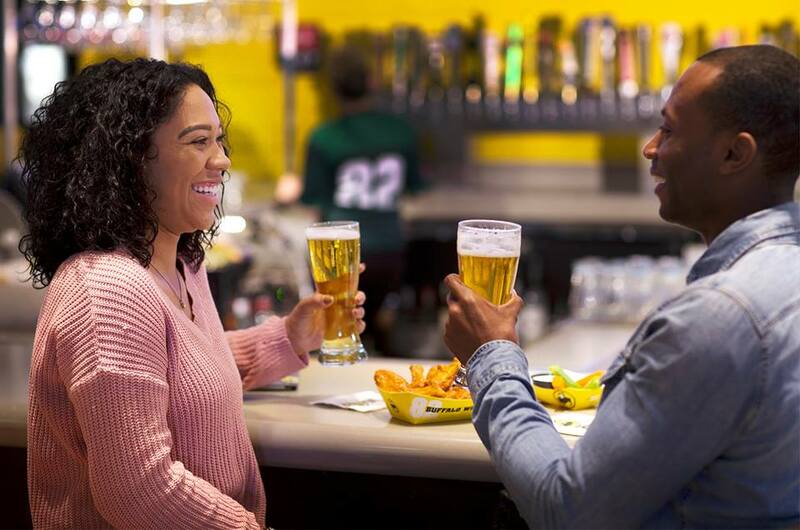 By planning your birthday at Buffalo Wild Wings, you can sit back, relax, and celebrate while their friendly staff serves you mouthwatering appetizers, entrees, and desserts. If you opt to meet all your friends at the bar, you won’t have to worry about covering the entire bill as everyone can start a tab and order to their heart’s content. Socializing with colleagues and celebrating big milestones are incredibly important for company morale. That being said, it can be awkward moving from an office setting to a restaurant. Luckily, Buffalo Wild Wings has a lively, all-inclusive energy that helps patrons relax and let their guards down. Plus, the menu is packed with American food classics from burgers to hot wings that please any crowd. This goes without saying, but with the perfect combination of finger foods, beers on tap, flat-screen televisions, and communal ambiance, Buffalo Wild Wings is the best place to watch all of your favorite sports! You and your friends can gather together to cheer on your team without having to worry about clean up or buying special cable packages to tune into the action. Plus, this restaurant offers game day specials at unbeatable prices. Do you need a pick-me-up or a treat after a long day at work? Head to your local Buffalo Wild Wings just because! Whether you’re alone, with friends, or planning a family night out, this fun, jovial restaurant is a guaranteed good time, from the tasty food to the cold beer. With 19 locations in New York State and Connecticut alone, Buffalo Wild Wings has become an American staple known for delivering a dream combination of delicious food and friendly service. Since opening in their first restaurant in 1982, founders Jim Disbrow and Scott Lowery have been committed to running family-friendly sports bars and restaurants that never skimp on customer appreciation or fun. To find a location near you, visit this popular restaurant online.